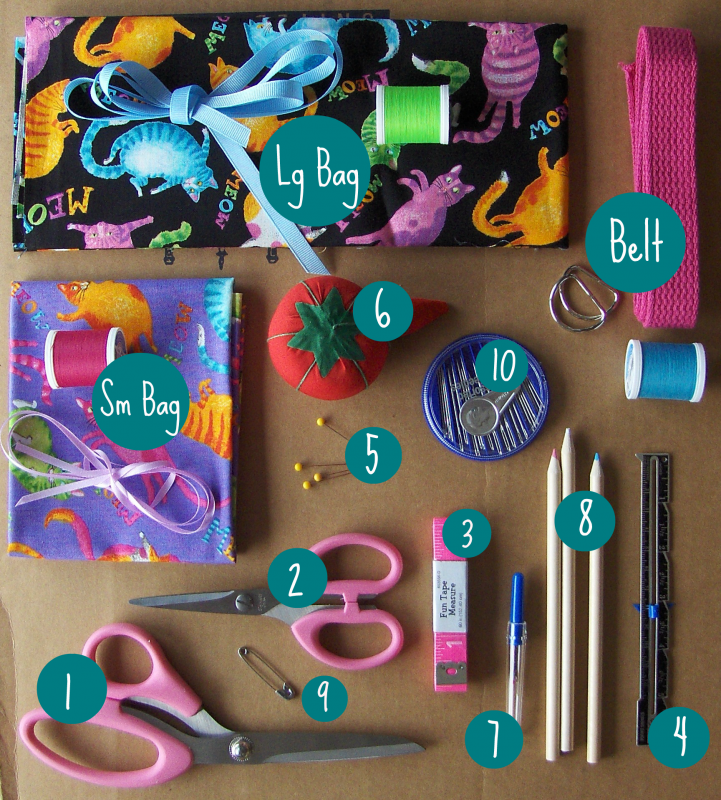 Get all the notions and supplies you need to start a 4-Day or 5-Day Sewing Camp at Thimble Fingers. Buy it online and we'll have it all ready for you on the first day of camp! *Please note that these are supplies for new students only and will cover the first 3, and in some cases 4 days of camp. Once students begin picking their own projects, additional supply costs (ex: patterns, fabric) will apply. Everything from the Camp Supplies List is included. *Colors of webbing and thread will be chosen by the student during class. *Colors of fabric, ribbon and thread will be chosen by the student during class.